Moors Valley is located on the Dorset / Hampshire border – two counties which offer fantastic countryside and visitor attractions to enjoy including the historic New Forest and the award-winning beaches at Christchurch and the Jurassic Coast World Heritage Site. If you are visiting the area for the first time we recommend you take a look at the Visit Dorset and The New Forest websites for more information about the area and visitor attractions nearby. 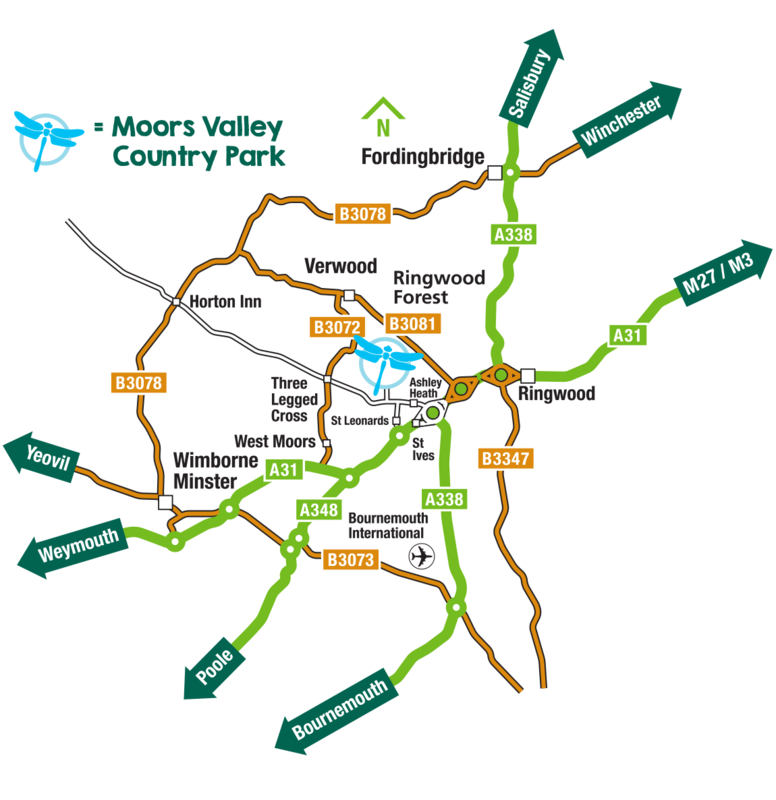 There are numerous campsites, caravan parks, cottages, bed and breakfasts and hotels close to Moors Valley. Nearby towns include Wimborne (approx. 9 miles away), or Verwood (approx. 5 miles away) in Dorset or Ringwood in Hampshire (approx. 4 miles away). Please visit the Visit Dorset website (for Dorset) or The New Forest website (for Hampshire) for details of accommodation providers nearby. You can walk to Moors Valley from Gundry’s Farm or Woolsbridge Manor Farm campsites.